Luckily for you, there are a couple of leather bands for your Samsung Gear S3 that are totally worth picking up and putting on your wrist! Here are the best leather bands out there for your Samsung Gear S3. Keep it stylish, comfortable, durable, and most importantly, 100% genuine cowhide leather with the KADES Genuine Leather Retro Cowhide Smart Watch Band. This particular replacement band for your Samsung Gear S3 can easily be installed with quick-release pins, while the timeless, classic look makes it perfect for a day at the office, a night out on the town, or a quick run at the gym. 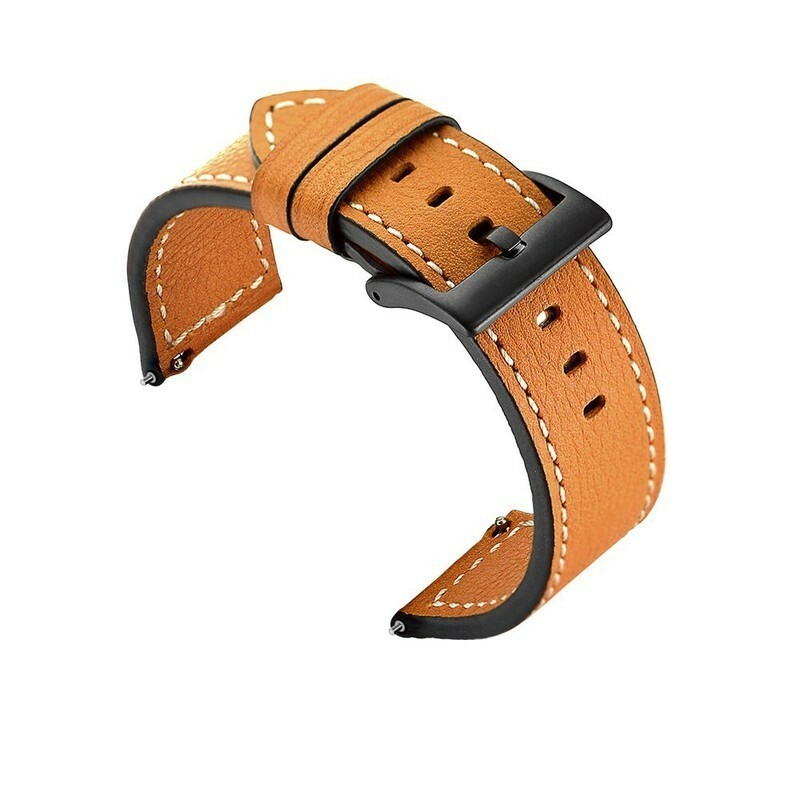 You can pick up your KADES Genuine Leather Retro Cowhide Smart Watch Band for around $12 to $13 depending on the style or a pack of two for $20. 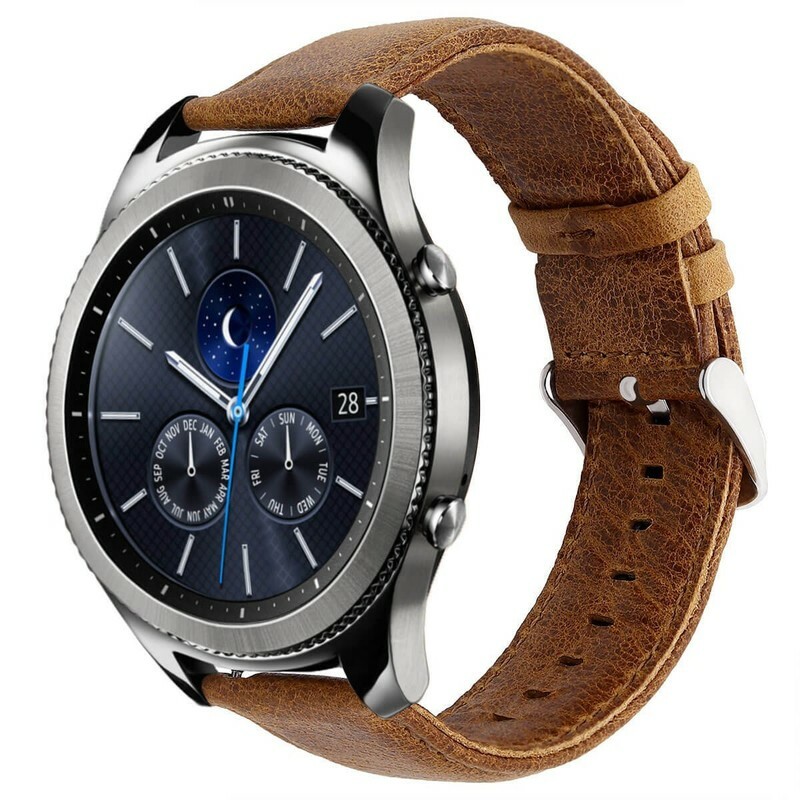 Looking to add a bit of class n’ leather to your Samsung Gear S3? Then look no further than the highly rated Austrake Replacement Leather Strap Classic. The Austrake Replacement Leather Strap Classic is made from a super comfortable leather, meaning that you can wear it throughout the day without any rubbing or chaffing (plus you can easily adjust the band based on your wrist size). This specific band comes with a stainless steel buckle, meaning you don’t have to worry about it snapping off if you’re doing some more rigorous activity, like travelling or hiking. The Austrake Replacement Leather Strap Classic comes in five different color combinations, including a black band with a black buckle, a black band with a silver buckle, a brown band with a silver buckle, a brown band with a black buckle, and a gray band with a silver buckle for $13. Adding a leather strap to your Samsung Gear S3 is one way to turn heads and take away from that chunky, clunky, techy, wearable vibe: and the TOROTOP Leather Strap Replacement Band does a great job helping with that look! The TOROTOP Leather Strap Replacement Band is a band that’s made to easily be adjusted, so whether you have really large wrists of smaller wrists, this band’s got your back — er, wrist. This leather band is made from a soft, genuine leather, and is also super easy to install and uninstall with its one-button removal. You can pick up the TOROTOP Leather Strap Replacement Band in a number of colors and patterns including crocodile skin red, plain black, plain brown, crocodile skin white, plain red, and plain navy blue for between $15 to $16, or you could pick up a duo pack of the black and brown for $26. 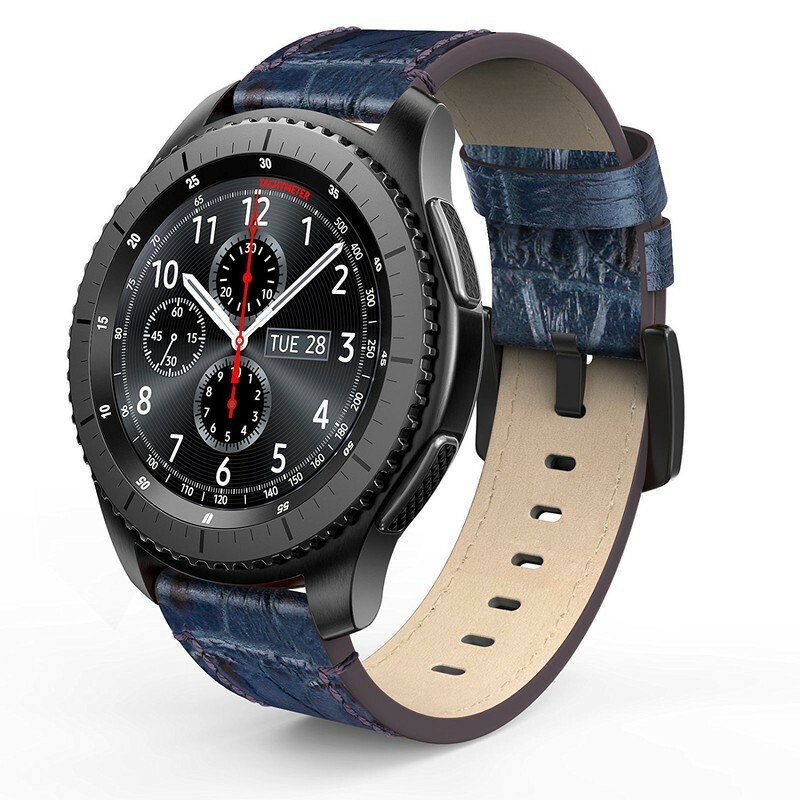 Super highly rated, beautiful to look at, affordable, and designed to be worn through a plethora of situations, the Katrice Genuine Leather Strap is a phenomenal leather strap option for your Samsung Gear S3. This specific watch band has nearly 250 5-star reviews on Amazon, so you know there’s got to be something good there: with its stainless steel buckle and genuine leather design, the Katrice Genuine Leather Strap combines both form and function into one fabulous package. 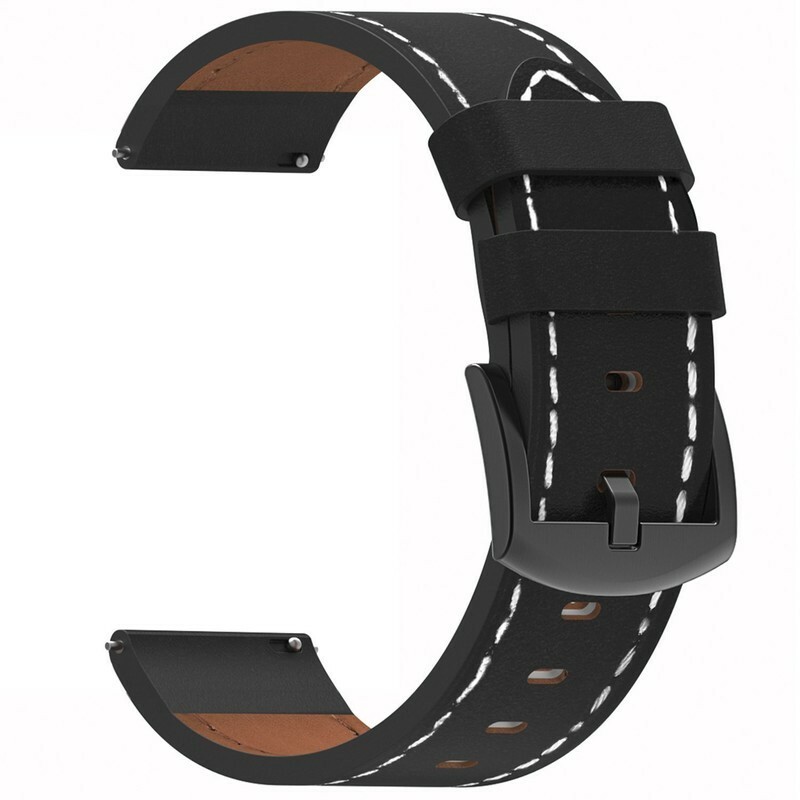 The Katrice Genuine Leather Strap makes adjusting the strap easy depending on the size of your wrist, while easy to remove pins make it simple to install and reinstall this particular watch band. You can pick up your very own Katrice Genuine Leather Strap in a number of different varieties and styles, including black braided leather, coffee, brown leather with rainbow stitching, black, black with white stitching, plain brown leather, brown leather with white stitching, and orange leather with white stitching for between $13 to $18. Swees up your life with this genuine leather replacement band for your Samsung Gear S3 that’ll deliver the comfort, the style, and the function you deserve in a watch band. 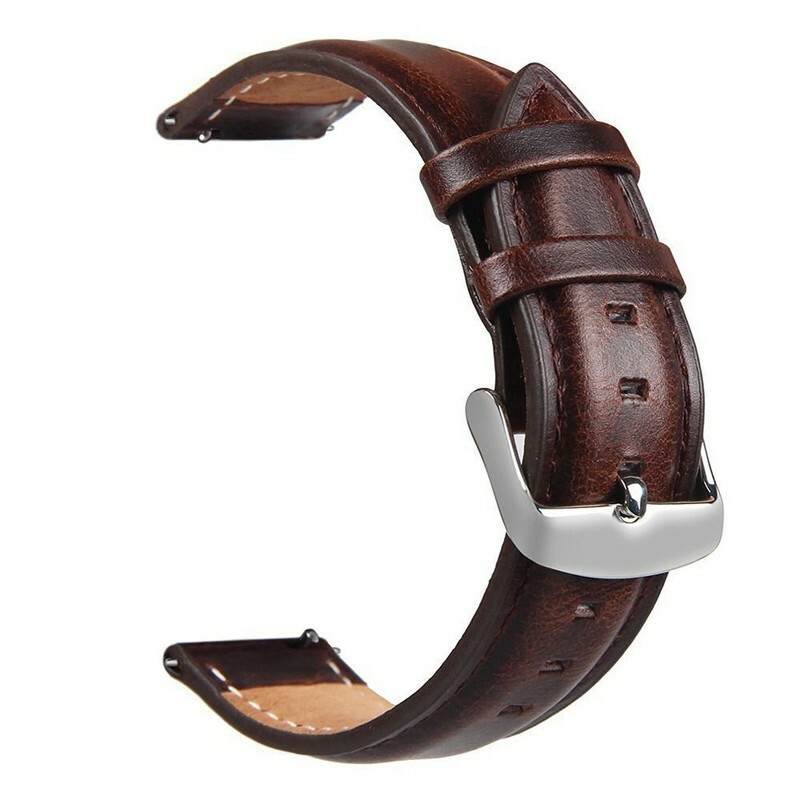 The Swees Classic Genuine Leather Band with Buckle is designed to be adjusted to fit a variety of wrist sizes, so whether you have a larger wrist or a smaller one, you won’t have to worry about this band slipping off you as you go about your busy day. This particular band is made from a soft, comfortable genuine leather, while the strap is designed from a tough stainless steel. You can you quick release pins on both ends to clip the band on and off your S3 without a tool. You can pick up the Swees Classic Genuine Leather Band with Buckle in a number of colors, including black, brown, coffee, dark brown, alligator skin black, alligator skin blue, and alligator skin coffee for between $14 to $17. Is there a particular leather band that you have in mind that didn’t quite make my list? Let me know what your top options are in the comments below and I’ll be sure to take a peek at ’em! Updated June 2018: This article still has the best of the best band options available out there!